Eight powerful external antennas with beamforming deliver strong, fast connectivity in a busy connected household. 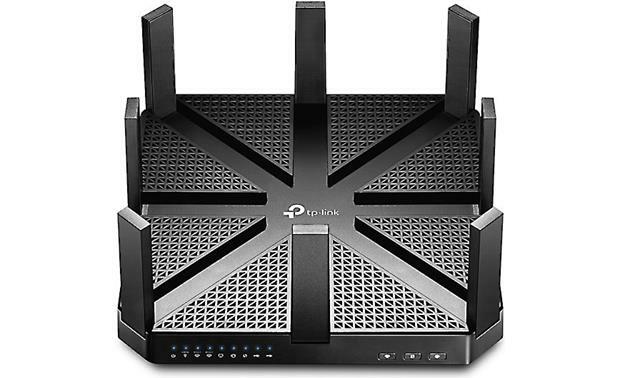 Tri-band Wi-Fi with eight powerful "arms"
First I thought the TP-Link Archer C5400 looked like an alien mothership, but the more I looked at it, the more it reminded me of a high-tech octopus. With eight powerful external antennas with beamforming technology, the C5400 can virtually "reach out" and grab hold of each device with a Wi-Fi "arm," so you get strong, fast connectivity wherever you're sitting. The TP-Link Archer C5400 features eight powerful external antennas with beamforming, so you can "aim" Wi-Fi where you need it most. That's especially important in today's extremely connected home. The router broadcasts oodles of super-fast Wi-Fi — 1000 Mbps at 2.4 Ghz, and 2167 Mbps each on two 5 GHz bands. And it gives you the tools you need to prioritize traffic so your most important devices get the most bandwidth. In practical terms, that means you can stream movies without glitching, play online video games without lagging, and keep everyone surfing happily on their phones. The Archer C5400 offers an impressive array of advanced features that make your Wi-Fi experience second to none. The upshot? 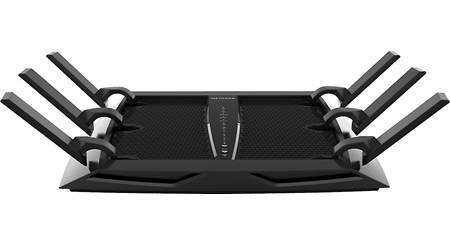 You're highly unlikely to find a bad streaming experience anywhere near this router. 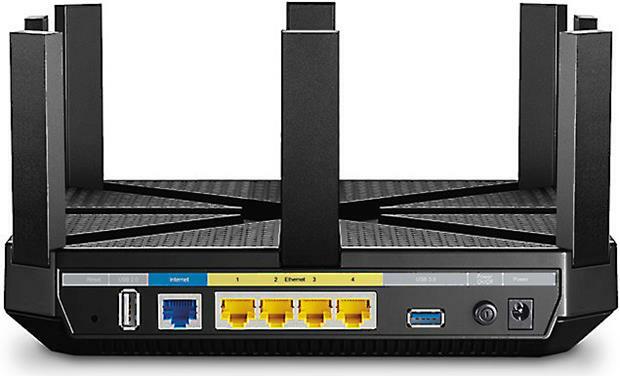 The C5400 has four LAN ports with Gigabit Ethernet capability, so you can make wired connections for bandwidth-hungry devices like a 4K TV or high-res music server. USB 3.0 and 2.0 ports make it easy to connect external drives to share photos, videos, and music with everyone on your home network. When you use the C5400, everything on your wireless network is protected by an umbrella of WPA/WPA2 and 64/128-bit WEP encryption. In addition, parental controls let you restrict access, control usage, and block specific devices from accessing the internet, so younger members of the family can surf the 'net safely. 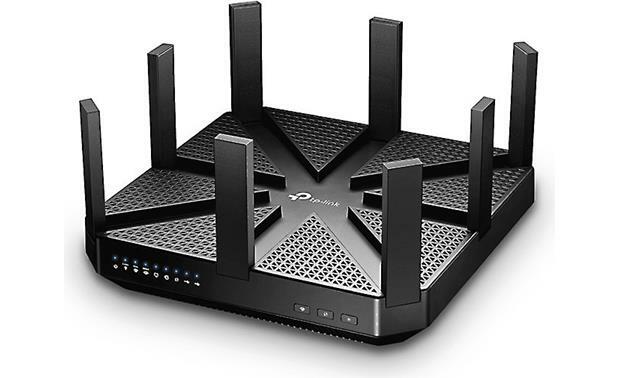 WiFi Router: The TP-Link Archer C5400 router is designed to fully meet the need of smaller home & office networks, and users demanding higher networking performance. 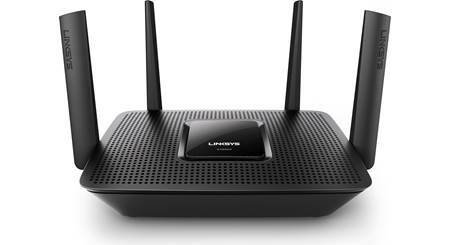 The powerful antennas ensure continuous WiFi signal to all your devices while boosting widespread coverage throughout your home, and the built-in Ethernet ports supply high-speed connection to your wired devices. In addition, it is simple and convenient to setup and use the TP-Link router due to its intuitive web interface and the Tether app for Apple iOS or Android. 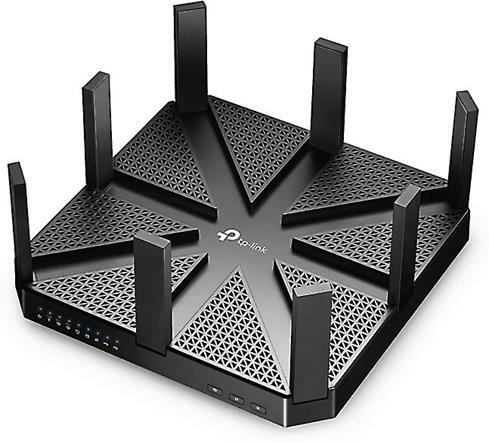 This router serves as a powerful entertainment hub for your home that is capable of supporting multiple simultaneous HD video streams, online gaming, and other online activities without slowing down. 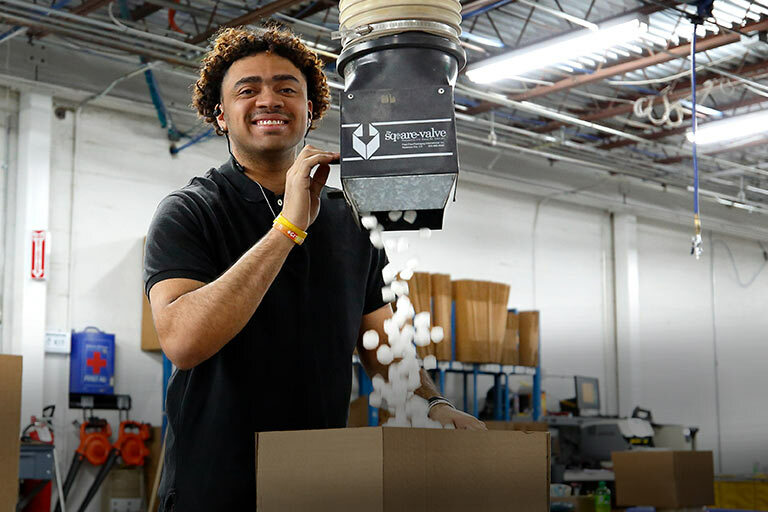 Superior range and coverage keeps your devices connected, near or far. 64-Bit CPU & XStream Processor: With XStream processor architecture, the Archer C5400 dedicates one processor to each of its WiFi bands. These processors handle WiFi traffic, freeing the router's powerful 1.4 GHz dual-core 64-bit CPU to take care of everything else. The result is fast transmission speeds, support for more devices, and high-speed applications - all done simultaneously. 4-Stream MU-MIMO (802.11ac Wave2): The Archer C5400 does more than just create faster WiFi with its support for next generation 802.11ac Wave 2, it helps your devices achieve optimal performance by making communication more efficient. With MU-MIMO technology, the Archer C5400 can provide four simultaneous data streams, allowing all connected devices to achieve speeds up to 4X faster than standard 802.11ac routers. Tri-Band WiFi w/ Smart Connect & NitroQAM Technology: Tri-Band WiFi offers three distinct wireless bands for more of your devices, and Smart Connect technology automatically places those devices on the best available WiFi band for faster connections and stronger performance. TP-Link's Archer C5400 also incorporates NitroQAM (1024QAM) which boosts WiFi speeds by 25% to significantly improve performance. With Tri-Band & NitroQAM Technology, Archer C5400 boosts the WiFi Speed up to 5334Mbps on 5GHz (2157Mbps each) and 100Mbps on 2.4GHz. It can perfectly handle your favorite activities like gaming online, watching 4K movies, or sharing large files. QoS (Quality of Service) + Airtime Fairness: QoS (Quality of Service) is designed to ensure the efficient operation of the network by making it easier for you to manage the bandwidth of connected devices. You are able to create rules to specify prioritization of traffic and minimize the impact caused when the connection is under heavy load. Airtime Fairness equally divides attention among all your devices, letting your high-speed devices transfer more data and improving network efficiency and performance. 8 Omni-Directional Amplified Antennas w/ Beamforming: Eight external omni-directional antennas and high power amplifiers with Beamforming technology send robust WiFi across your home. Beamforming technology locates the connected devices and further improves the Archer C5400's range and the signal strength to each mobile device, delivering a more reliable and efficient wireless connection. Gigabit Ethernet Ports w/ Link Aggregation: With one gigabit WAN Ethernet port and four gigabit LAN Ethernet ports, speeds can be up to 10x faster than standard Ethernet connections. Link aggregation accelerates data transfer to network-attached storage (NAS) devices by combining two separate Ethernet ports into a 2Gbps connection. 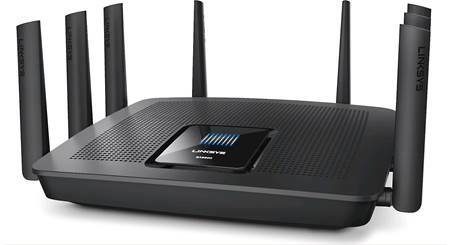 The Archer C5400 is a powerful hub to support a robust and extremely fast wired network. TP-Link Tether App: The TP-Link Tether app (for Apple iOS 8.0+ and Android OS 4.3+) provides the easiest way to access and manage your network with your Apple iOS or Android device. From quick setup to parental controls, the TP-Link Tether app provides a simple, intuitive user interface to see the router's status, online client devices, and privileges. Simple Setup: Use the Tether app to set up your new TP-Link router from your compatible Apple iOS or Android device. Setup the network name, password and internet settings to get online in no time. Control & Update via the Cloud: With a unique, exclusive TP-Link ID, you have the power to manage your Router, DSL Modem Router or Repeater anywhere, anytime from Apple iOS or Android device with data coverage (cellular or WiFi). The Tether app will also alert you of any firmware updates to ensure the best, most advanced WiFi experience in your network. So if you need to reboot, update, or reconfigure your home router while at the office or on vacation - the TP-Link will let you do it. Live Network Management: With the Tether app, you can see who is connecting to your network and block those who shouldn't be there at the touch of a button on your compatible mobile device. Manage Administrators: The Tether app also helps you designate the devices or users that can manage the TP-Link routers or range extenders and set the permission rules that comes with it. With a URL-based list, you can choose websites that are safe to visit. In addition, control and limit access to the network to certain times of the day for users in the child list. Intuitive Web Interface w/ Quick Setup Wizard: In addition to the TP-Link Tether, app you can use TP-Link's web-based utility with its Quick Setup Wizard to setup the router. The Quick Setup Wizard will guide you step-by-step during set up of the router. The web-based utility can be used on any Windows, Mac OS or UNIX OS with a Web browser - such as Microsoft Internet Explorer, Mozilla Firefox or Apple Safari. Amazon Alexa Compatible: The TP-Link Archer C5400 works with Alexa for voice control and IFTTT for smart home customization, using an Alexa-enabled device (including the Amazon Echo, Echo Dot, Tap and Echo Show) - all sold separately. Add new devices to your network, prioritize devices and activities, share the guest WiFi password and more with Amazon Alexa and your voice. You can also trigger actions when devices are connecting, disconnecting or being added to your network, as well as set triggers to prioritize a device or an activity with anything that works with IFTTT. Click here for a list of Amazon Alexa skills. Multifunctional USB 2.0/3.0 Ports: With one ultra-fast USB-A 3.0 port and one USB-A 2.0 port, you can access and share a printer as well as your files and media locally. Through the router's FTP server, you can also access your files and media from network devices remotely. USB 3.0 provides up to 10x faster USB hard drive access than previous generation USB 2.0. By default, all the network clients can access all folders on your USB devices. You can customize your sharing settings by setting a sharing account, sharing specific contents and setting a new sharing address on the router's web management page. Media Sharing: Media Sharing allows you to view photos, play music and watch movies stored on the USB device directly from DLNA-supported devices - such as your computer, tablet, TV, etc. Print Sharing: Printer Sharing helps you share a printer with different computers connected to the router. Offline Download: With Offline Download enabled, the router can download files without keeping your computer powered on all the time. Guest Network: Guest Network Access provides secure WiFi access for guests sharing your home or office network. This function allows you to provide WiFi access for guests without disclosing your main network. When you have guests in your house, apartment, or workplace, you can create a guest network for them. In addition, you can customize guest network options to ensure network security and privacy. Parental Controls: The router's parental controls allow you to block inappropriate, explicit and malicious websites, and control access to specified websites at specified time. Security Encryption: The TP-Link router supports WEP and WPA2 security encryption (64-/128-bit) on both 2.4GHz and 5GHz bands. You can even use WPS (WiFi Protected Setup) technology to automatically and securely add wireless devices to your network. Network Security: You can protect your home network against DoS (Denial of Service) attacks from flooding your network with server requests using DoS Protection, block or allow specific client devices to access your network using Access Control, or you can prevent ARP spoofing and ARP attacks using IP & MAC Binding. SPI Firewall & DoS Protection: The SPI (Stateful Packet Inspection) Firewall and DoS (Denial of Service) Protection protect the router from cyber attacks. The SPI Firewall can prevent cyber attacks and validate the traffic that is passing through the router based on the protocol. DoS Protection can protect your home network against DoS attacks from flooding your network with server requests. Access Control: Access Control is used to block or allow specific client devices to access your network (via wired or wireless) based on a list of blocked devices or a list of allowed devices. IP & Mac Binding: IP & MAC Binding, namely, ARP (Address Resolution Protocol) Binding, is used to bind network device's IP address to its MAC address. This will prevent ARP Spoofing and other ARP attacks by denying network access to an device with matching IP address in the Binding list, but unrecognized MAC address. Note: The router's wireless network name (SSID) and password, and security option are preset in the factory. The preset SSID and password can be found on the label of the router. You can customize the wireless settings according to your needs. Dynamic DNS Service Account: Most ISPs assign a dynamic IP address to the router and you can use this IP address to access your router remotely. However, the IP address can change from time to time and you don't know when it changes. In this case, you might apply the DDNS (Dynamic Domain Name Server) feature on the router to allow you and your friends to access your router and local servers (FTP, HTTP, etc.) using a domain name without checking and remembering the IP address. VPN Acceleration Server: The VPN (Virtual Private Networking) Server allows you to access your home network in a secured way through internet when you are away from home or the office. The Archer C5400 not only supports safe and secure OpenVPN and PPTP VPN connection, but also uses VPN Acceleration to boost the connection speed. All of the data you're transmitting is guaranteed to be secured by these VPN functions. IPv4 & iPv6 Supported: The Archer C5400 supports both IPv4 and IPv6. iPv6 is the next generation of Internet protocol, helping you to future-proof your network. 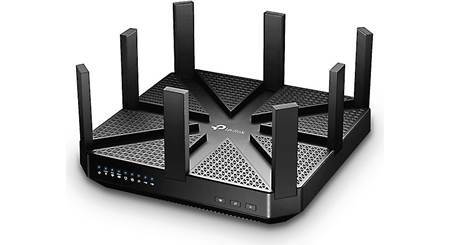 Searches related to the TP-Link Archer C5400 AC5400 tri-band Wi-Fi® router.